Do you need to schedule Annual Review meetings with your fourteen direct reports? Don’t worry–if you’re trying to schedule individual appointments within a specified timeframe, you only need to create one meeting poll with the NeedToMeet 1:1 Meetings feature. 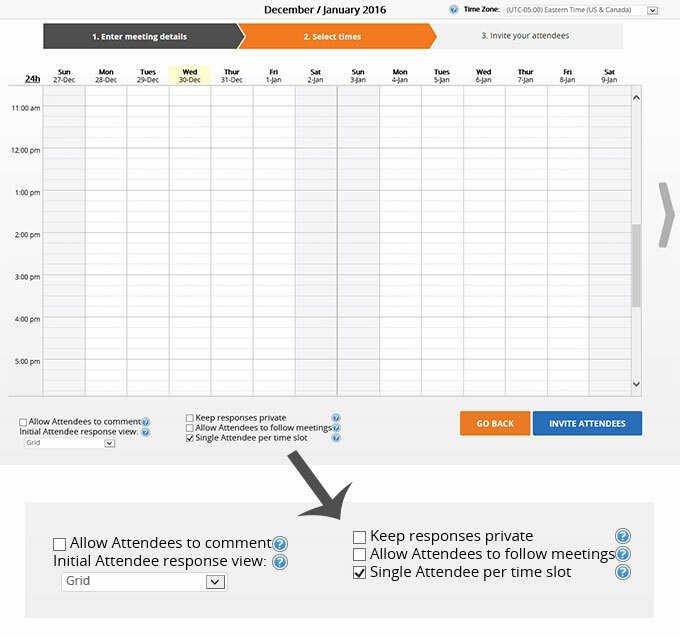 By selecting “Single Attendee per Time Slot” during the creation of your meeting poll, your invited attendees will only be able to reserve a single time slot. Once a timeslot has been reserved, it is not available to other invited attendees.